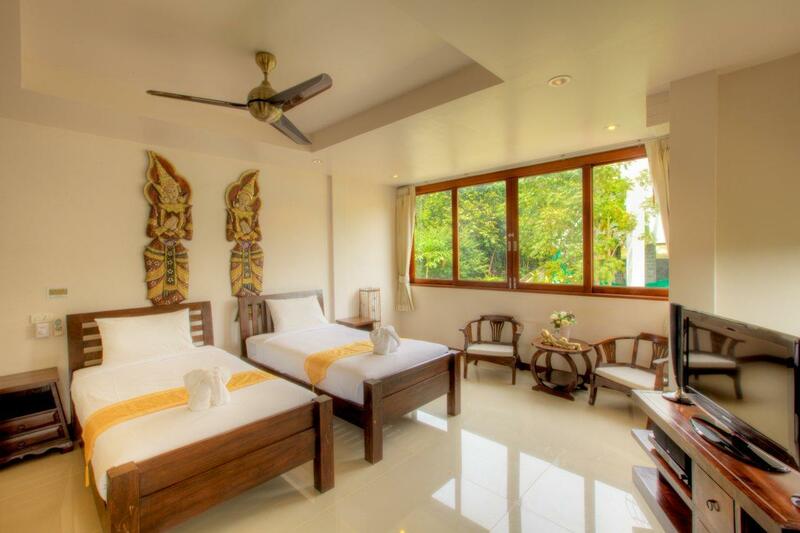 ﻿ Best Price on Sunset Hill Boutique Resort Koh Phangan in Koh Phangan + Reviews! 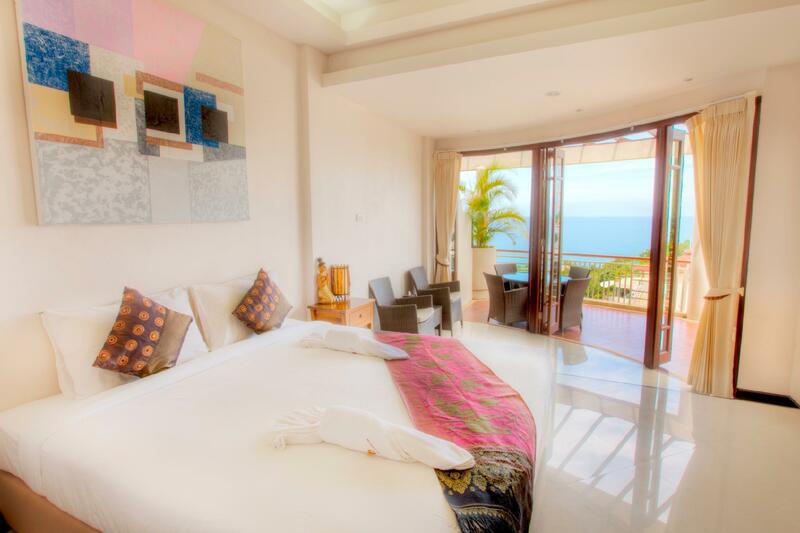 Have a question for Sunset Hill Boutique Resort Koh Phangan? 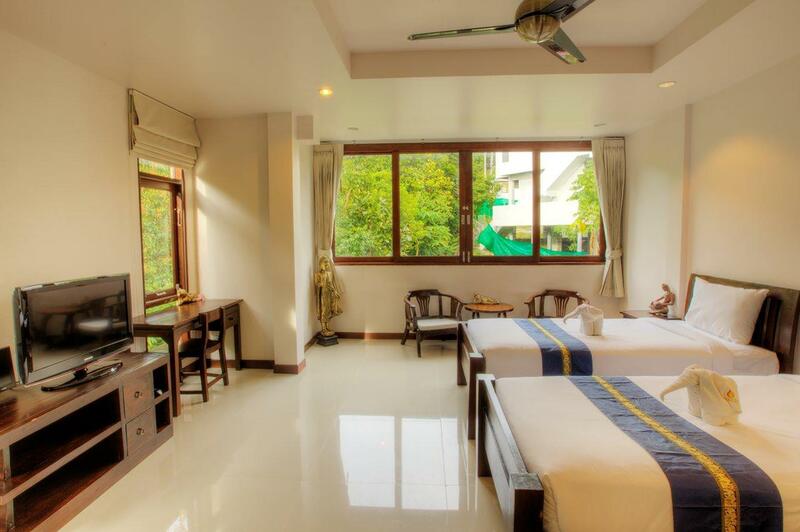 Located on a tropical hill overlooking Koh Phangan's west coast, Sunset Hill Boutique Resort Koh Phangan offers peaceful and refined ambiance for their guests. 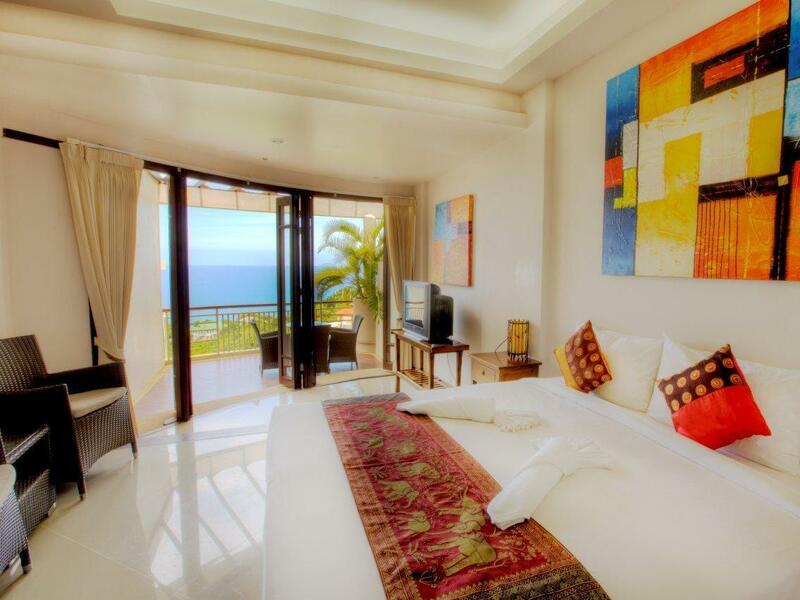 From here, guests can enjoy panoramic sea views and beautiful sunsets. 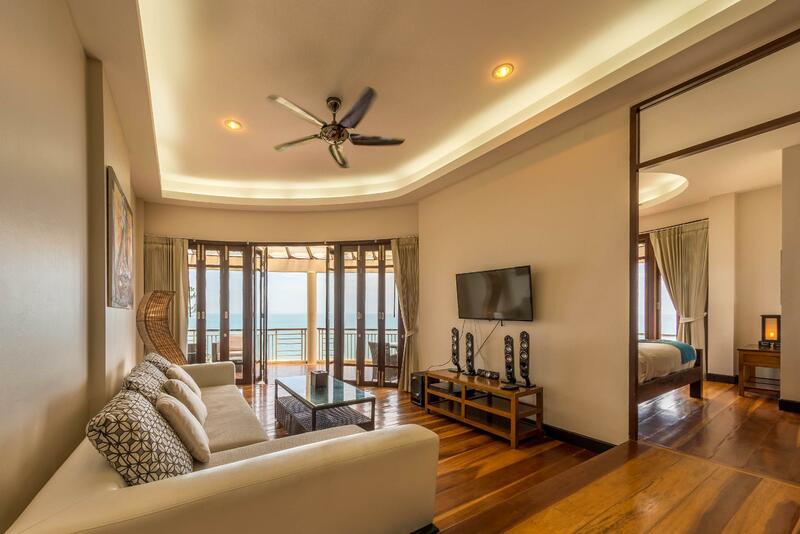 With its ideal location, guests can easily access nearby beaches such as Haad Chao Phao, Haad Son, and Haad Yao, the village of Srithanu, and also the city’s facilities like restaurants, shops, massages parlors, motorbike rental services, and diving centers are within walking distance. The site of the popular Full Moon Party is a 30-minute drive from the resort, making it ideal for those who are looking for a good place to chill out after the party. This luxurious hotel offers impeccable service and all the essential amenities to invigorate travelers. Each guestroom features air-conditioning, a flat-screen TV with a home cinema system, a kitchenette, and safety boxes. 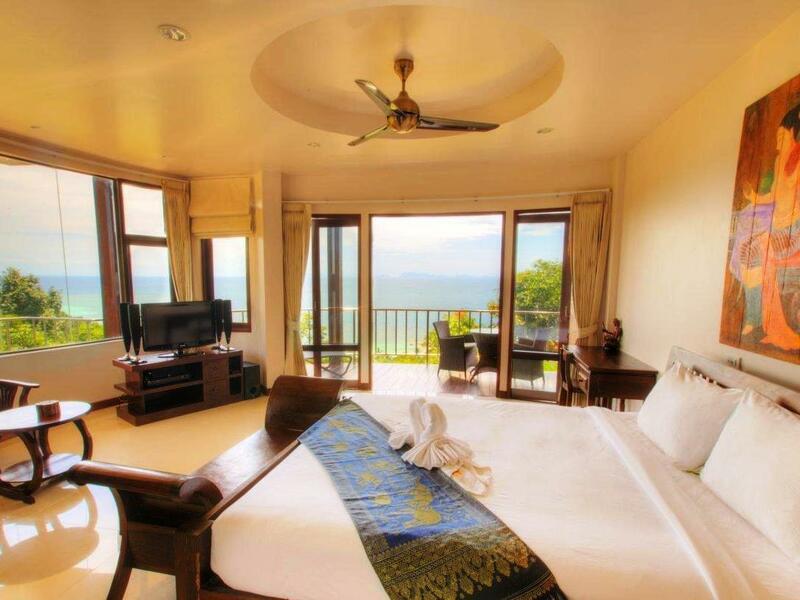 Guests can relax at the guestroom balcony for fantastic sea views or greenery views. For some enjoyment, the resort provides an outdoor infinity pool with a gorgeous view of the Gulf of Thailand, a viewpoint lounge, and Wi-Fi. The resort can arrange massages and beauty treatments upon request. Since Koh Phangan is famous for the adventure, water sports, trekking, the frequent beach parties, island tours, car and scooter rental, and diving courses are available at the resort tour desk. 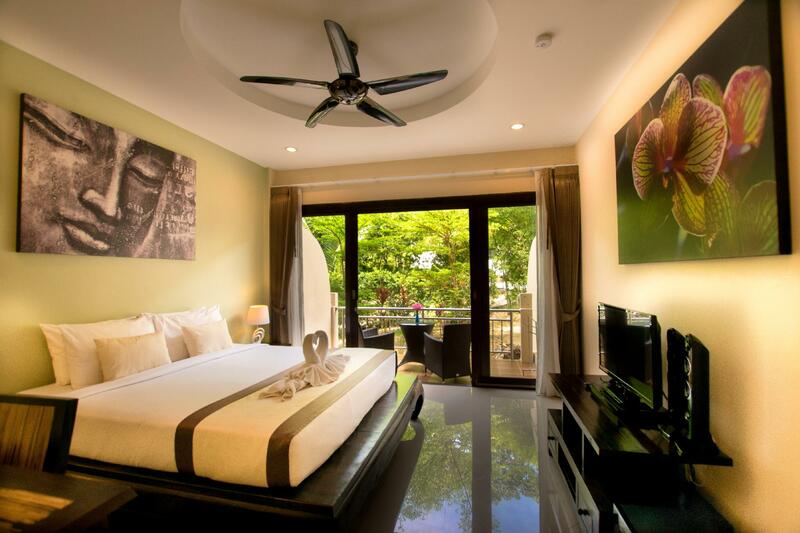 Sunset Hill Boutique Resort Koh Phangan offers spacious and luxurious accommodation on the island, the perfect place for some much needed rest after a party. Stayed here for four days in the run up to New Year! The staff are amazing and the view from the pool is to die for! The breakfast was vast- you order from a small menu but it certainly does the job of filling you up for a day on the beach. The rooms could do with a little updating, but they are clean and the management really take care of you, with regard to things like moped hire and beach towels for a day exploring. Well worth a visit- the pool view really is incredible! The location is very nice and quiet. The staff is very helpful, especially the manager Sewie, who happens to be german, so that was a great help to us. We had some trouble with the motorbike, as someone caused a damage to it, but the person was very nice and payed it herself. The hotel management helped us in that matter also. They also help us get of the island, as a tropical storm was approaching and there war no boats leaving the island.They had ,due to the storm, a problem with the wifi, but also the constant registration and login was very annoying. The process should be simplified, as it is all over Thailand as a matter of fact. What an amazing place! Beautiful Villa set in the hills of Haad Chao Phao with the most amazing view over an amazing infinity pool. Ticked all the boxes for me! Amazing staff too with all your needs catered for. An amazing hotel with the most amazing view. 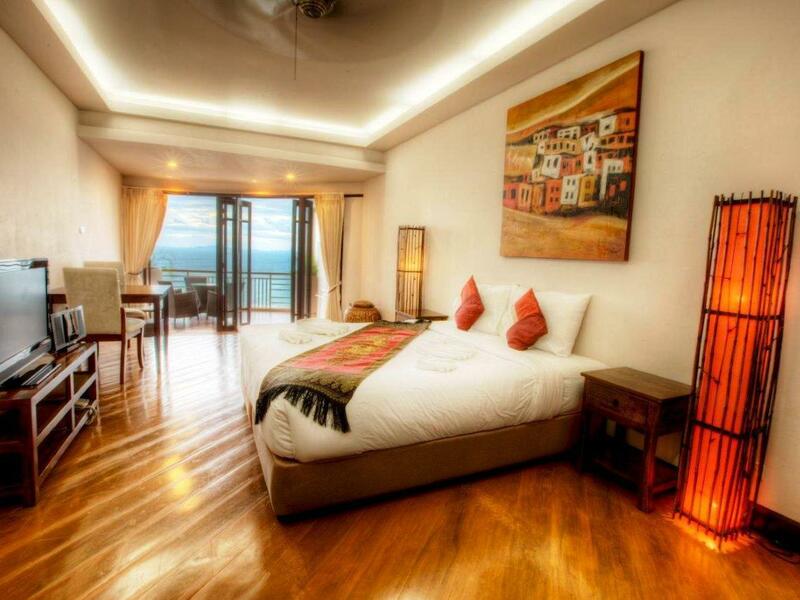 The rooms are real luxury with perfect balconies to see the sunset or just chill. The food is great and the staff were very kind and helpful. The hotel has high standards for everything: recommendations, taxis, spa etc’. Definetly coming back. Our only complaint was that the WiFi was awful. Otherwise this was an amazing stay. Breakfast was good, the pool was nice and the rooms clean. They had free morning yoga that was great. Would definitely stay again. Dear Melissa, Thank you very much for your awesome review and great to hear you had an amazing stay. I am happy to inform you that we have invested a lot in improving the WIFI, so i think this has improved a lot now. We are looking forward to have you stay with us again soon! I can't believe we slept on the worse pillows during our entire road trip in Thailand having stayed more than 10 hotels/airbnb. Didn't expect the most expensive hotel we booked had the worse pillow. Just too small and low and soft. Not up to standard even with a cheap budget hotel. Other than that, everything else is perfect. Hi Wei, We thank you very much for taking the time to leave us a review and are so happy you enjoyed your stay. We are so sorry the pillows were not up to par! We wish you would have mentioned this during your stay with us at it would have been a very easy fix :) We have noted this to our housekeeping team so the pillows will be replaced for the next guest. Another solo traveller and I shared this accommodation for three nights. 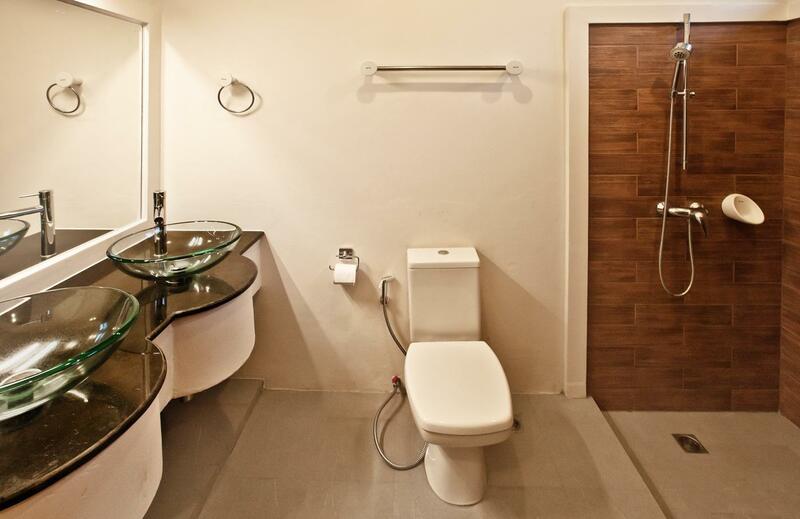 Spacious, well manicured facilities that hit all the markers. Our stay included free morning yoga classes, amazing breakfast buffet and shuttle service to a nearby beach throughout the day (Secret beach). We were able to rent scooters through the hotel, and spent an entire day exploring the island which was a definite highlight. I highly recommend this property to all, from families to couples to solo travellers with the right budget. Thank you so much for the wonderful review. We are so happy you enjoyed your stay. Imagine, a hotel on Koh Phangan that understands what maintenance is!? Most spectacular views of the sunset from the infinity pool. Delicious breakfast. Knowledgeable and attentive staff. Aside from continuing to find the beds painfully hard, this is the nicest place I stayed in 7 weeks in Thailand. Thank you Gregory. Your comments are greatly appreciated. After our 6th visit of Thailand definitely one of the best among 4 stars hotels. Awesome hotel with perfection in every detail (clean rooms, amenities, caring staff). Definitely adds extra value to your stay on Koh Phangan at any season. Beautiful views, fine cuisine, pool bar. Thank you Petr for the perfect score! We are so happy you enjoyed your stay and hope to see you again some day! Extended our stay as the room rate was great and coupled with the great breakfast and wonderful staff. Walls are a little thin and the bar down the road disturbed the peace on Friday nights blasting their crappy music. Will definitely return ! Sunset Hill was my favorite resort of our 30 day trip! The drivers, the front desk, the cooks were so kind and amazing! The food was delicious, the infinity pool and grounds were peaceful and provided amazing views. Our room was lovely and clean! Great resort, highly recommend! Oh and there's the sweetest dog ever there! Thank you so much Adriana! It was lovely having you stay with us and Monkey (the old golden retriever) is definitely missing the belly rubs. Be sure to visit next time you are in Thailand! First we booked here for one night then we booked more for another two nights, the staff really friendly, this place will s good for someone who want to have a nice sunset view, be quite in phangan. The food here is really amazing, if you are Thai you can ask chef to make really spicy for you. Guys you must try the food! The bad thing about this hotel is no have phone in room that you can call to restaurant or reception, you always have to us d your mobile phone to order something to the room. Thank you so much Patcharaorn! We have let Chef Most know how much you enjoyed the food. He does work so very hard to make everything just right and it is so nice you appreciated this! As for no phone in the room, we are not able to add landlines due to the wind on the hill, so we have free WiFi in all rooms and you can contact us via Skype, Whatsapp, Facebook or Line. We also have an amazing smart phone application called LoungeUp. Just download it to your phone and you can contact our staff, get tour information, even order room service! If you do not want to download there is also a web version. Try it out next time you are here! Overall this is a nice hotel. Great pool overlooking the sea. The hotel as such is not by the beach but on a steep hill giving you great sea views but of course no beach access hence best to rent a bike. However, we did have repeated issues with other totally spaced out guests partying all night - not at 11pm or so, no no, at 3am at night, refusing to bring down the volume of the music and there's no one from the hotel you can turn to in the middle of the night. Anyway, not the hotel's fault. Hi Basil, We are happy that you enjoyed your stay and do apologize for the unruly guests. Normally our hotel is very serene and quite but even 40 minutes from the full moon party beach, we cannot avoid some party goers. We do have a strict noise policy after 10pm, so if you stay with us again and have any issue please report to us and we will do our best to take care. As for the beach, it is 300 meters away and we do offer free shuttles to and from the beach throughout the day, but most guest normally choose to rent a motorbike anyway to see the rest of what this beautiful island has to offer! I got really sick in Ko Pha Nang and had to leave the hustle of downtown to tend my fever in isolation. The staff were AMAZING. So sweet and caring and supportive.. The room service really helped since I was so sick.. The beds were such a safe haven to me that that time.. Thank you thank you thank you!! Thoroughly enjoyed our stay here; our room was lovely and would recommend Jasmine block; the pool and staff are great especially James, the waiter who was always happy to help and recommend food/cocktails! The view from every part of the hotel was great. It's a great hotel with great staff. Only negative is the seating at the pool doesnt provide enough shade and so many guests claim the shaded areas for the whole day even when gone. But this is only a minor complaint. It's a great place. We loved our stay at Sunset Hill, the staff were lovely and we upgraded to a Seaview room which was totally worth it. The free yoga classes were great & we loved the area where you practiced. Breakfast was great with a good variety of food and drinks. It is a steep hill to the resort but the beautiful view certainly makes up for it, they do offer a shuttle service up & down though.